Need a highly mobile platform for filming a stunt dive? Then use our mobile crane with custom-built camera platform that doubles as a base for stunt dives on movie sets and at performance events. 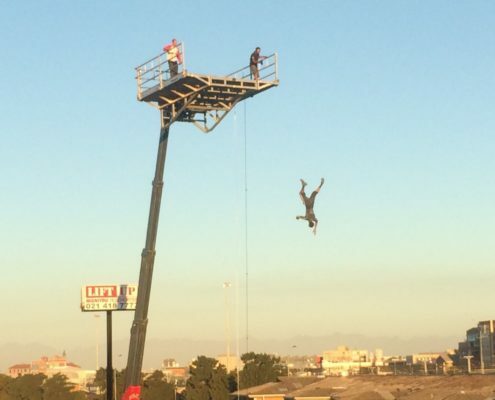 See how our mobile crane camera platform can be used as a base for stunt jumps on film sets.